Since 1970, Hydra-Power Systems has specialized in distribution of quality hydraulic and pneumatic components, design and manufacturing of Hydraulic and Pneumatic Valve Manifolds, design and manufacturing of Hydraulic Power Units and Custom Hydraulic Equipment. HPS provides products and services to: OEM’s, re-sellers, and users in all industries; Mobile-Industrial-Marine-Mining-Agriculture-Subsea-Construction-Forest Products and Entertainment Industries throughout North America and Internationally. Our Northwestern 58,600 sq. 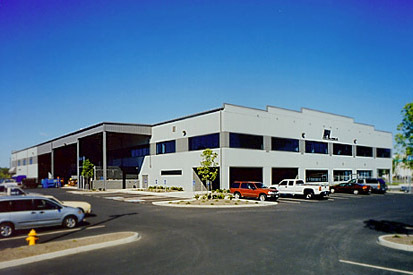 ft. headquarters is located in Portland, Oregon near Portland International Airport(PDX) and our Southeastern operation in headquartered in Birmingham, AL. HPS has been designing and manufacturing custom manifolds since 1970 for customers in North America and Internationally. HPS utilizes Vest manifold design & 3D Inventor Software to design manifolds that are machined on CNC Vertical and Horizontal machining centers, CNC Mills, radial drills and saws. HPS provides in house “from Concept to Customer” service: circuit design, manifold block design, manifold block machining, quality control processes, cleaning, assembly, testing and packaging for shipment. Packaging of hydraulic components is a mainstay of HPS since 1970 and this valuable service to our customers is highly appreciated as our customers save money, hassle and receive a final assembled product that can be shipped anywhere in the World without worry and expensive service calls. Proof of our capabilities is the test stands we design and manufacture for hydraulic component manufacturers in North America and Internationally. HPS represents major fluid power component manufacturers and maintains significant “bin-located-bar coded” inventory with same day shipment. Customer orders are computer processed using extremely dynamic CRM and MRP systems which allow quick responses to change. Components are available to be shipped from our conveniently located Portland or Birmingham warehouses for the fastest service and lowest possible shipping costs. HPS Customer Service Agents and Technical Experts are ready to serve North American customers 12 hours per day!